Women, Politics, and Change draws on both oral and written historical and sociological material to examine the development of the women’s section of the senior party in government in Peninsular Malaysia. This section the Pergerakan Kaum Ibu Umno, have ben pre-eminent amongst women’s political organizations in the country. 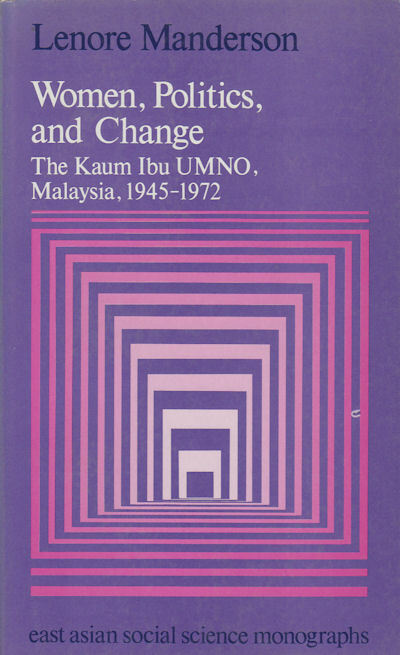 The book examines the structure, activities and interests of the Kaum Ibu from 1945, when it was formed from a number of women’s associations, to 1972, during which time Malay women played an increasingly visible role in the political life of the country. The role of women within the part and in electoral politics, and their appointment to public office, are used to examine the nature of their political participation. Women, Politics, and Change challenges certain basic assumptions regarding the nature of social change. On the basis of this study the book argues that in Malaysia, despite major historical and political developments, the role of women in essence has not changed: women and men have interpreted the women of women in politics within the boundaries of the traditional interests and concerns of women.